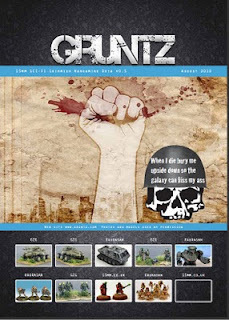 This is the latest video playtest for the GruntZ 15mm skirmish game. I played the game with DarthTater in the garage and had two small forces to test out the rules. The terrain is Old Crow Models, in their Ainsty "Down Below" range. The Down Below range have very short walls which are ideal for 15mm. 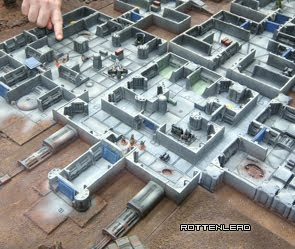 Most of the other sci-fi space station style corridor terrain they do is designed for 28/30mm so the walls tend to be too high for the 15mm models. I am sure the larger walls would work OK at 15mm but it would be a bit of a fiddle to get the smaller figures in and out of the terrain. The two forces played were some New Israeli (NI) 15mm miniatures from Ground Zero Games (GZG.com) in Hard Suits with two resin hover skirt tanks by Old Crow called Gladius medium tanks. 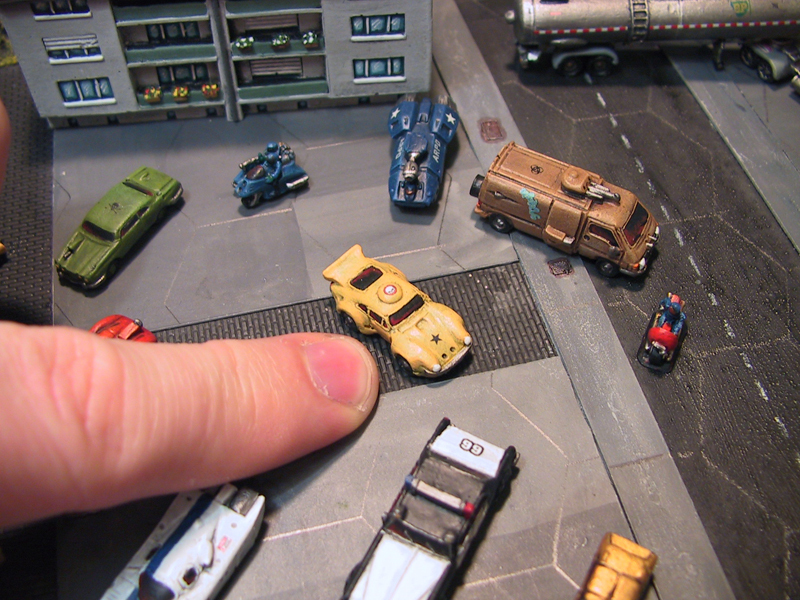 The Hammers Slammers side consisted of a single Blower Tank with a two squads of GruntZ. Within the GruntZ rules the hard suited NI models are better protected with a higher soak value but the Hammers Slammers Blower Tank is more powerful than the Gladius tanks used by the NI, so it held its own for several turns, destroying one of the Gladius. 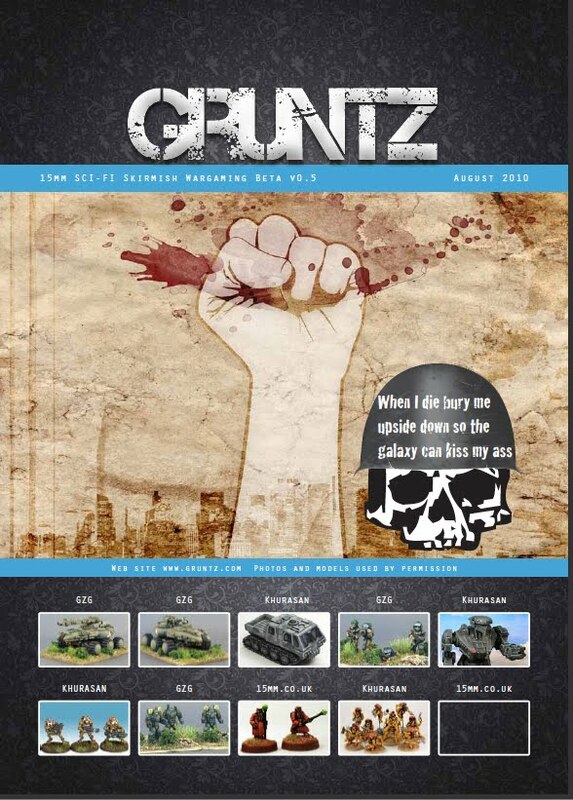 The NI commander has a Faculty allowing a once per game additional shot from his Gruntz squads which is what won them the fight in the facility, when the player managed to get the drop on the Hammers Slammers in the bay. The result was relatively well balanced with the "Hard Vetz" perk of the Hammers allowing them to re-roll mental checks which helped them avoid breaking. If the second Hammers Squad had made faster progress to defend the Hanger door I think they might have turned the battle. The video was recorded on my iphone4, so the quality is not as good as the usual HD cam but it was very convenient and quick to produce. The normal camera tends to get in the way of gaming but the lightweight Iphone was quick and easy to use. I am sure with better lighting the result would also improve. Watch the Video for a view of the game as it played out. Excellent !! My son and I enjoyed your cool little video. Simply amazing. I would love a more detailed battle report, maybe in several parts, but I also know what a tremendous job it would be. Your figures, terrain, and report are inspiring to say the least.